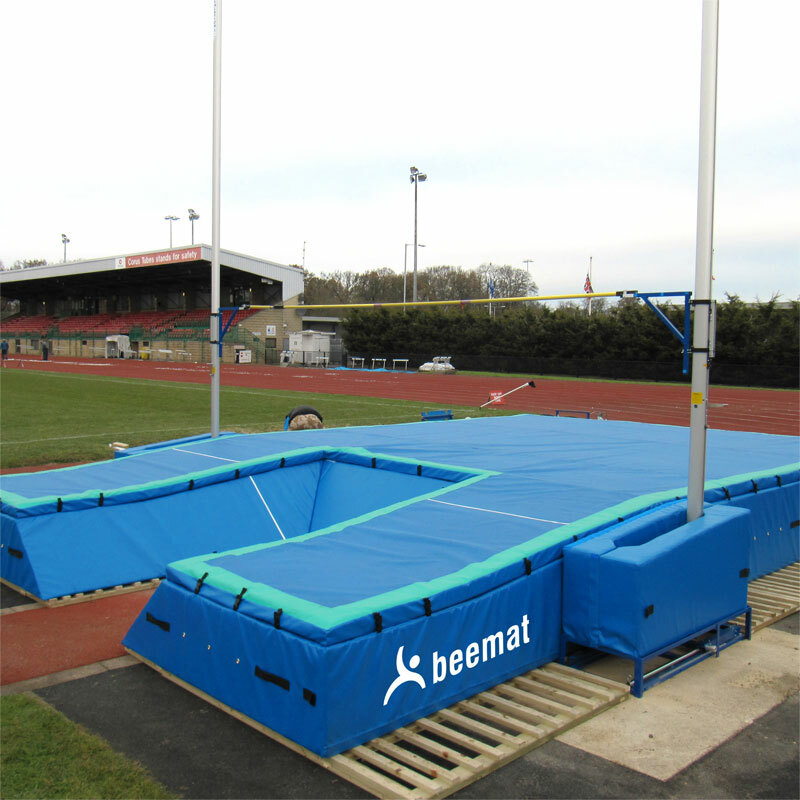 The Beemat ® Pole Vault Area meets current UKA and IAAF specifications. IAAF International Pole Vault suitable for Level 2 Competition. Size 8m x 6m x 800mm. 700mm deep modular base sections with 100mm thick spike proof coverall. Special system of pads surrounding the box gives maximum protection for the pole vaulter. Units fixed together with webbing straps and buckles. High Quality PUR foam internal construction. 8m x 6.5m x 80cm - 26'3" x 21'4" x 2'7". 8m x 6m x 80cm - 26'3" x 19'8" x 2'7". 8m x 5m x 80cm - 26'3" x 16'5" x 2'7".